Outside in the elements or inside in hi-risk areas, this rugged vendor features AMS’ patented Sensit® Guaranteed Delivery System. 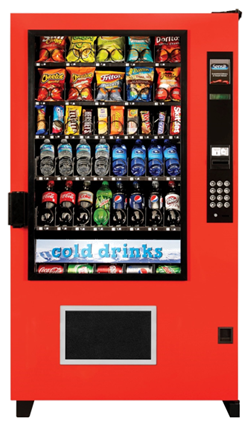 It has a 3-year warranty on its electronics and its 1/2 plus HP sealed refrigeration system. The Outsider has a one year warranty on all other parts except fluorescent light bulbs, glass, and paint finish. Most parts are interchangeable with most other AMS vendors. 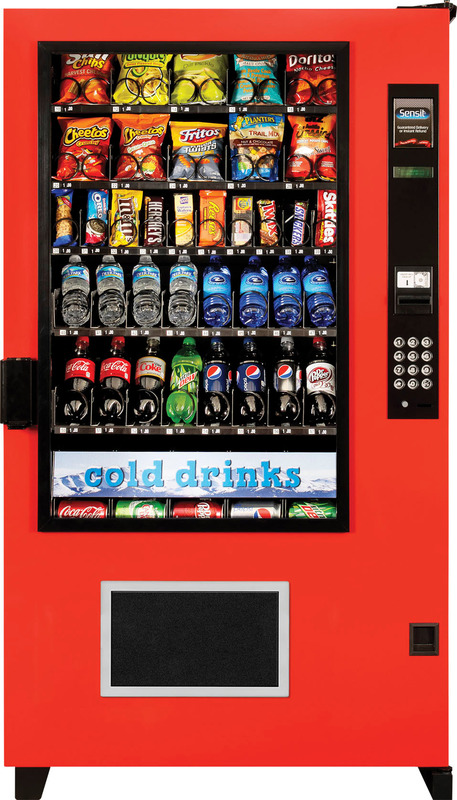 Offering a choice in the outdoor vending of non-perishable items: It can be a Snack Machine or a Visi-Combo snack-and-beverage machine.